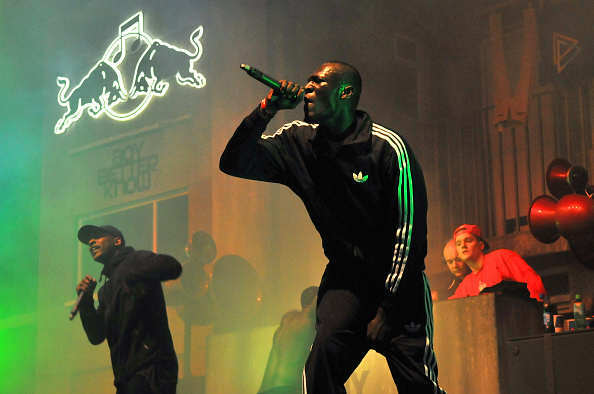 Stormzy is one of the most famous musicians in the London grime scene. He was also one of the first grime artists to break into the mainstream UK music scene. Who is Stormzy, how old is he, when is his birthday, how tall is he and what is his background? Stormzy, whose real name is Michael Ebenazer Kwadjo Omari Owuo Jr, is an English grime artist. He was born on the July 26, 1993 and is 25 years old. He is 1.96 metres tall. 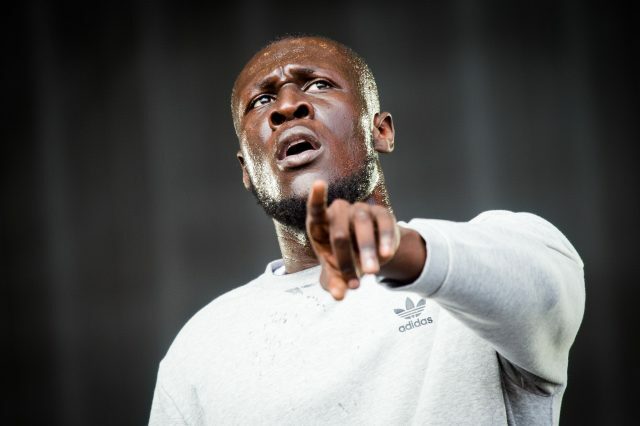 Stormzy, who is of Ghanaian descent, grew up in Thornton Heath in south west London. He went to Harris Academy in South Norwood and was an academic student, gaining six A*s for his GCSEs, but he often played up in class and was almost expelled from school. As a result of his lack of focus in class, he received disappointing A-level results. He credits this disappointment with teaching him the importance of a good work ethic, and therefore explains his success today. Before becoming a professional musician, he studied for an apprenticeship and worked for almost two years at an oil refinery. Why is Stormzy famous and what is his occupation? The talented star is one of the leading performers in the British grime scene. Grime is a style of music that developed in London in the early 2000s, growing out of electronic music genres, particularly garage and jungle and is characterised by heavy, dark baselines. He also played the character Yardz in the 2016 film Brotherhood. What is Stormzy’s net worth? Stormzy’s net worth is estimated to be around £1.5 million. How much does Stormzy earn? There is no current information about his annual earnings, however since he only released his first single in 2015 and his debut album in February 2017, it can be assumed he has earned his entire net worth in the last two years. He lives in the upmarket suburb of Chelsea in London. Soon after he moved into the property in February 2017, police were called to his flat by a neighbour who thought it was being burgled. However, the person the neighbour saw entering the flat was the star himself. This incident led to discussions within the media and on Twitter about the level of racism young black men face in British society. Who is Stormzy dating, who has he dated in the past? 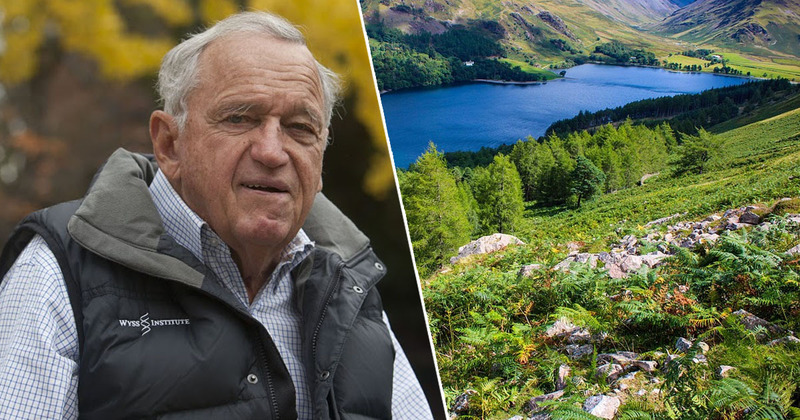 The British rapper has been dating TV presenter and radio host Maya Jama since 2015. This is his first major relationship. 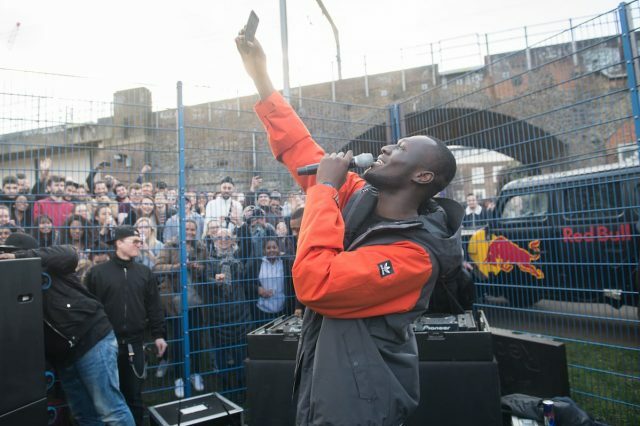 What are Stormzy’s biggest songs, what albums has he released, when were they released? Stormzy released Dreamers Disease, his independently recorded EP, in July 2014 and was invited to play Not That Deep from this EP on Later with Jools Holland. In September 2015 he got his first UK top 40 hit when he released WickedSkengMan 4 on iTunes. The track debuted at Number 18 in the UK charts and was also the first freestyle to enter the Top 40 in the United Kingdom. Shut Up was also released in September 2015 charting at Number 59, but after Stormzy launched a Christmas Number 1 campaign, it entered the Top 10 of the UK Singles Chart on December 18, 2015, at Number 8. It has become Stormzy’s highest-charting single. In February 2017, Stormzy released his debut album Gang Signs And Prayer, which debuted at Number 1 on the UK Albums Chart on Friday March 3, 2017. What awards has he won and when? The artist has won two MOBO awards for Best Grime Artist, both in the first year of the award in 2014, as well as in 2015. In 2017, he won Best Solo Artist at the GQ Men of the Year awards, as well as Artist of the Year and Best Video at the Rated Awards. His real name is Michael Ebenazer Kwadjo Omari Owuo Jr.
Are Stormzy and Skepta friends? He says that he has been a fan of Skepta’s work since 2005 and has been influenced by Skepta’s MCing, describing Skepta as a big brother. Fans suspected there may have been a rift between the two artists as Skepta was not featured on Stormzy’s debut album, but the Shut Up hitmaker has denied this. Who is the rapper sponsored by? He has collaborated extensively with Adidas, most notably with the First Never Follows campaign with Manchester United player Paul Pogba. He is a prolific user of Snapchat where his Snapchat username is Stormzy1.